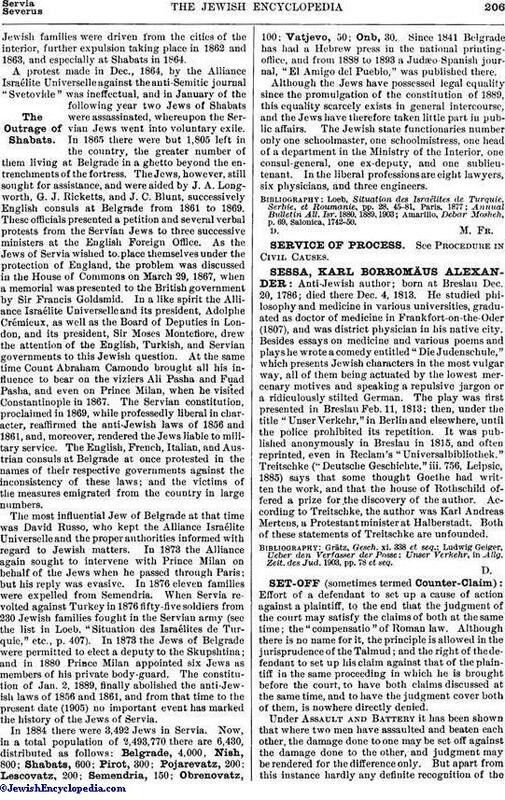 Anti-Jewish author; born at Breslau Dec. 20, 1786; died there Dec. 4, 1813. He studied philosophy and medicine in various universities, graduated as doctor of medicine in Frankfort-on-the-Oder (1807), and was district physician in his native city. Besides essays on medicine and various poems and plays he wrote a comedy entitled "Die Judenschule," which presents Jewish characters in the most vulgar way, all of them being actuated by the lowest mercenary motives and speaking a repulsive jargon or a ridiculously stilted German. The play was first presented in Breslau Feb. 11, 1813; then, under the title "Unser Verkehr," in Berlin and elsewhere, until the police prohibited its repetition. It was published anonymously in Breslau in 1815, and often reprinted, even in Reclam's "Universalbibliothek." Treitschke ("Deutsche Geschichte," iii. 756, Leipsic, 1885) says that some thought Goethe had written the work, and that the house of Rothschild offered a prize for the discovery of the author. According to Treitschke, the author was Karl Andreas Mertens, a Protestant minister at Halberstadt. Both of these statements of Treitschke are unfounded. Unser Verkehr, in Allg. Zeit. des Jud. 1903, pp. 78 et seq.